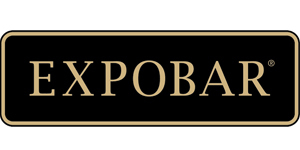 The Expobar Quartz is a compact commercial capsule machine without compromise. Quartz is designed and manufactured with the same precision, technology and craftsmanship that characterize Expobar. 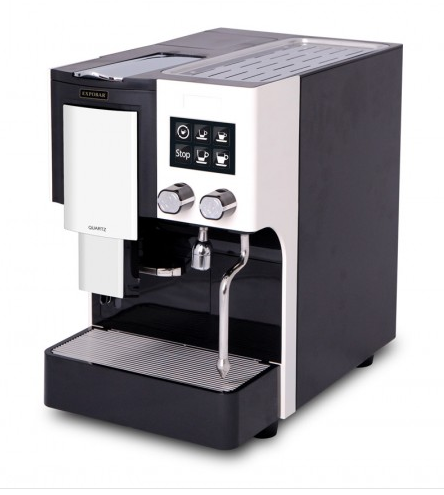 It is the perfect choice for offices, small restaurants or at home for those who are after a simple, clean, commercial grade espresso machine without the mess a grinder can cause. Four Volumetrically controlled doses that can be adjusted to suit your needs, automatic ejection system for the spent capsules and a clever tray to capture the waste capsules. The quartz can run from the internal tank, so no need for plumbing, or, can be set to run from mains water supply quickly and simply. With the large 1.7ltr steam boiler and 2000watt heating element, you are able to get silky smooth milk to complement the perfect espresso!